Heat the oven (with the oven rack in the middle) to 350°F. 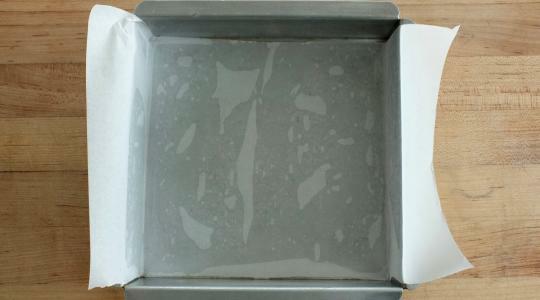 Spray an 8 x 8-inch baking pan with cooking spray. 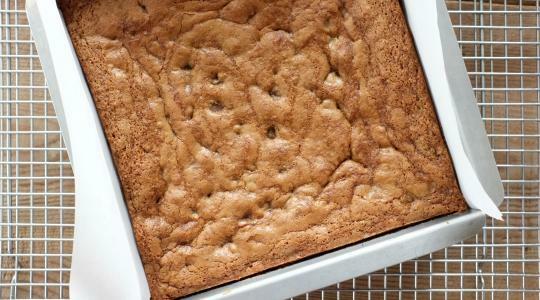 Line the bottom of the pan with parchment paper, leaving an overhang on two sides. 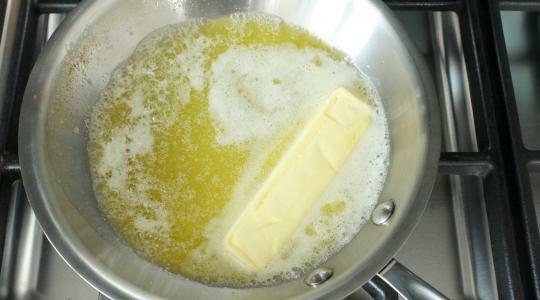 Melt the butter. 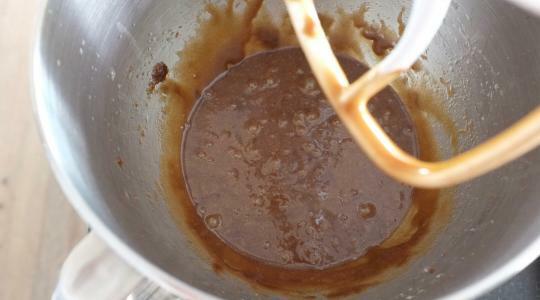 In a large bowl or the bowl of a stand mixer, use an electric mixer on medium speed to beat together the melted butter and brown sugar. Beat in the egg and vanilla. 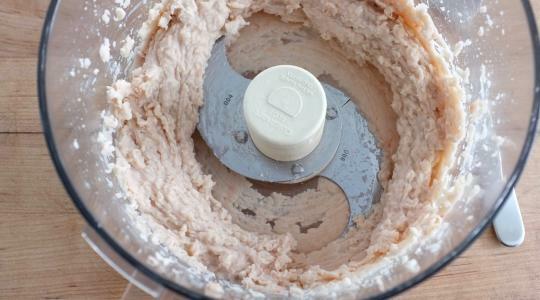 Then beat in the bean puree. 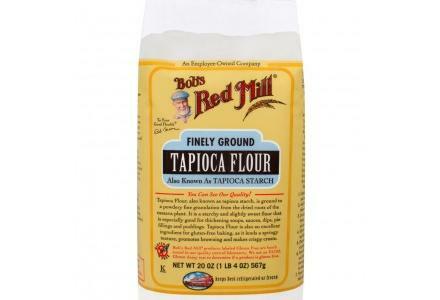 Add the almond flour, tapioca flour, baking soda, and salt. Mix in on low speed. 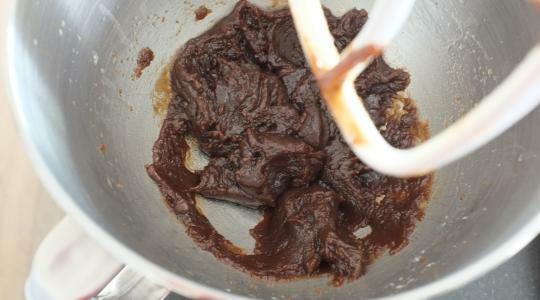 Stir in the chocolate chips. 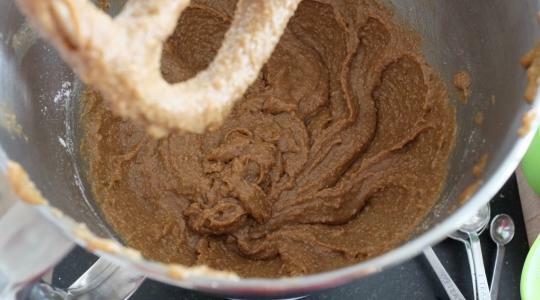 Scrape the batter into the prepared pan and smooth the top. Bake 35 to 40 minutes, until puffed up around the edges; the center will feel a little underdone but should be set. Let cool completely in the pan. 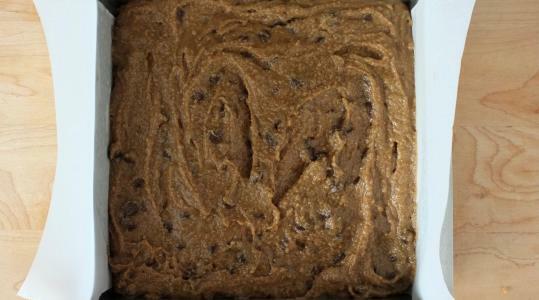 Grab the edges of the parchment and lift onto a cutting board. 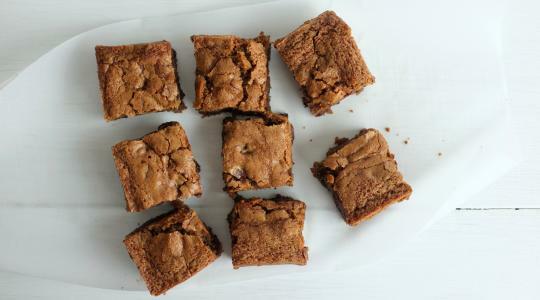 Slice into squares.